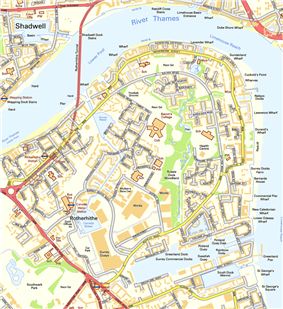 Rotherhithe () is a residential district in southeast London, England, and part of the London Borough of Southwark. It is located on a peninsula on the south bank of the Thames, facing Wapping and the Isle of Dogs on the north bank, and is a part of the Docklands area. It borders Bermondsey to the west and Deptford to the south east. 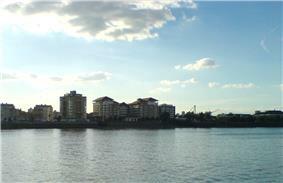 The name "Rotherhithe" derives from the Anglo-Saxon Hrȳðer-hȳð meaning "landing-place for cattle". The first recorded use of this name was in about 1105, as Rederheia. In the past Rotherhithe was also known as Redriff or Redriffe, however until the early 19th century, this name was applied to the whole river front from St Saviour's Dock to Bull Head Dock, this near the entrance to Surrey Water. Rotherhithe is the former home of the football team, Fisher F.C., who currently ground-share with Dulwich Hamlet, although plans are in place for a return in the near future. The local championship team Millwall Football Club are located nearby in the London Borough of Lewisham. 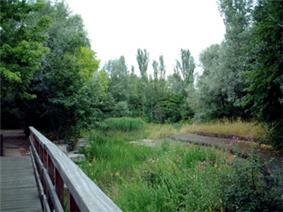 King's Stairs Gardens is a small park on the river towards the Bermondsey boundary. In September 2011 Thames Water announced that they wanted to build an access shaft for the "super-sewer" Thames Tunnel. Due to local action by The Save King's Stairs Gardens Campaign, which collected over 5000 signatures, it seems as of March 2011 that Thames Water will build the access shaft elsewhere, if the local community agrees. Severn Islands Leisure Centre occupies the site of the old Rotherhithe Town Hall. 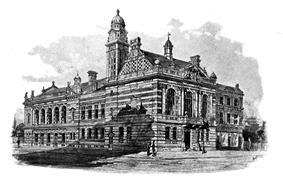 The building ceased to be a town hall in 1905 when the former Rotherhithe Council merged with the old Bermondsey Borough Council and the new council used premises in Spa Road. 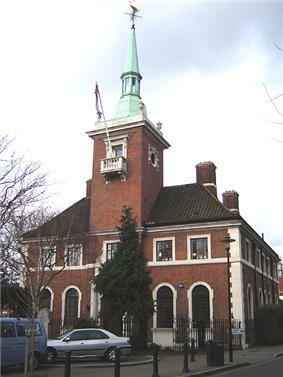 The old Rotherhithe Town Hall became a library and a museum. 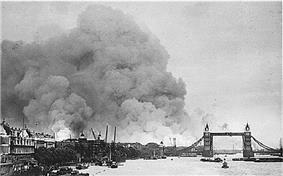 It was razed to the ground by repeated bomb hits and near misses during the Second World War (see below). Rotherhithe had its own general hospital, St Olave's Hospital, on Lower Road close to the old town hall. Built originally in the early 1870s on land adjoining Rotherhithe Workhouse, it became the infirmary of St Olave's Union in 1875, and was renamed St Olave's Hospital in 1930. Subsequently becoming part of the Guy's Hospital Teaching Group in 1966, it closed in 1985 and the site has been redeveloped into the residential Ann Moss Way. 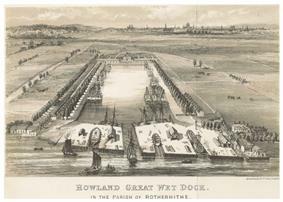 Other connections include with the Indian subcontinent, with wharves being named Bombay Court and East India court. A neo-Indian community has also now found root there with many young upcoming Indian professionals moving to London to work in the technology, financial services and legal professions. The proximity to the City and Canary Wharf has made this a convenient choice and hub for graduates from the Indian Institutes of Technology. Rotherhithe is also a popular place to live with South Africans according to the UK census of 2011 and there is a South African themed pub located at 351 Rotherhithe Street. In July 1620, the Mayflower sailed from Rotherhithe for Southampton on the south coast of England, to begin loading food and supplies for the voyage to New England. At that time, the English Separatists, who later became known as the "Pilgrim Fathers", were mostly still living in the city of Leiden, in the Netherlands. There they hired a ship called the Speedwell to take them from Delfthaven in the Netherlands to Southampton to meet up with the Mayflower. The ship's captain, Christopher Jones, died shortly after his return in 1621 and he is buried in an unmarked grave at St Mary's Church. 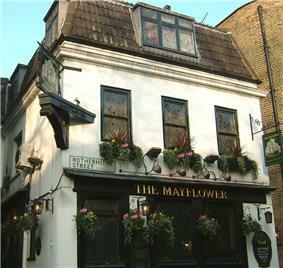 The Mayflower sailed from near a public house called the Shippe in Rotherhithe Street, which was substantially rebuilt in the 18th century, called the Spread Eagle and Crown, and is now named the Mayflower. The building itself, despite external and interior appearances dates from the 1950s. Marc Isambard Brunel (1769–1849) and his son Isambard Kingdom Brunel built the Thames Tunnel connecting Rotherhithe and Wapping. Max Bygraves, entertainer, was born in Rotherhithe. Michael Caine, actor, was born Maurice Joseph Micklewhite in Rotherhithe. 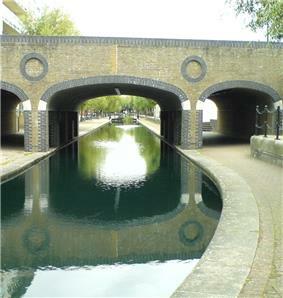 Malcolm Hardee lived on a houseboat in Greenland Dock, Rotherhithe, owned and ran the Wibbley Wobbley pub-boat on the same dock, and was drowned there in 2005. Alfred Hitchcock filmed scenes for his first film as director, Number 13 (1922), in Rotherhithe before it was pulled from production. Myleene Klass lived in Rotherhithe in the early 2000s. Aaron Manby assembled and launched the world's first seagoing iron-hulled ship at Rotherhithe in 1822. Princess Margaret met her future husband, photographer Tony Armstrong-Jones, in a house in Rotherhithe. Billy Mehmet, professional footballer, attended Bacon's College in Rotherhithe in the 1990s. King Mutesa II of Buganda died in exile in his flat in Rotherhithe in 1969 following an interview with journalist John Simpson. James Walker worked on the design and construction of Greenland Dock, where a memorial bust of him stands. The area is served by TfL bus services 1, 47, 188, 199, 225, 381, C10 and P12; and night buses N47 and N381. 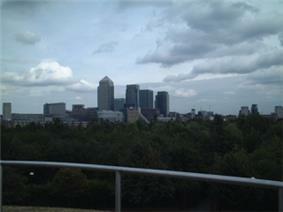 ^ "Canada Water Plaza - Canada Water Plaza". Southwark Council. 27 July 2010. Retrieved August 2015. ^ "Brunel Bridge – a proposed pedestrian and cycling bridge between Rotherhithe and Canary Wharf". brunelbridge.london. Retrieved August 2015. ^ Henden, Stephen. "V1 & V2 logs SE16 Rotherhithe and Bermondsey". Retrieved October 2011. ^ , 'Parishes: Rotherhithe', A History of the County of Surrey: Volume 4 (1912), pp. 83-92. Date accessed: 10 March 2014. ^ "DataShine: Census". Retrieved 2015-09-04. ^ "The Mayflower". BBC. Retrieved 3 September 2015. ^ "Mayflower". pubs.com. Retrieved 21 January 2009. ^ Pevsner, Bridget Cherry & Nikolaus (2002). London. ([New ed.] ed.). New Haven, Conn.: Yale University Press. ^ Wagner, Leopold (1921). A new book about London: a quaint and curious volume of forgotten lore. London: Allen & Unwin. pp. 190,191. ^ Beck, Edward Josselyn; Bonney, Thomas George (1907). Memorials to serve for a history of the parish of St. Mary, Rotherhithe in the county of Surrey and in the administrative county of London. Cambridge University Press. pp. Appendix 259,260. ^ Stansky, Peter (2007). The first day of the blitz: September 7, 1940 (illustrated ed.). Yale University Press. p. 81. ^ Harris, Clive; Bright, Neil (2010). A Guide to Wartime London: Six Walks Revisiting the Blitz (illustrated ed.). Casemate Publishers. pp. 69–70. ^ "Buses from Rotherhithe" (PDF). TfL. Retrieved March 2013.